Mom and Dad sat stunned on my office couch. They were great parents, appropriately involved in their 15-year-old son’s life, trying not to over control while also attempting to keep him safe, toeing that elusive parental “balance point” the experts love. Their son “Myles” also seemed great: good grades in an elite school, talented athlete, lots of friends- he seemed like the kid we’d all want for our son, with one exception: he had been drinking heavily two-to-three times every week throughout the summer. This article’s title above is an old adage from the drug rehab community which has now taken on a sobering (pun intended) new meaning for those of us whose hearts are tied to teenagers. It refers to the idea that one drink for an alcoholic can start a never ending binge of drug use (boozing) while chasing a feeling he can never achieve with the drug. 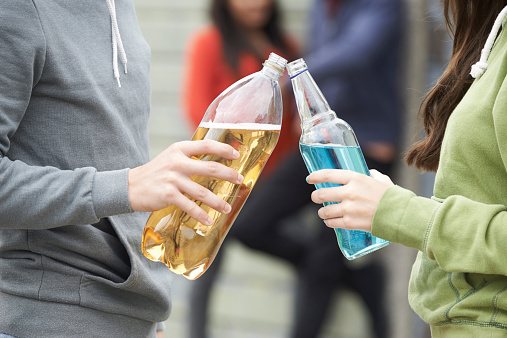 We now have science proving that adage can apply to teen drinking as well. 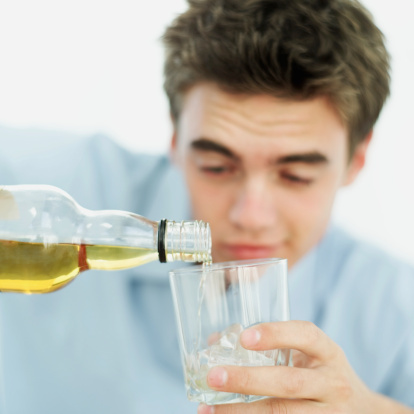 A 2012 study from the University of Florida (published in The Journal of School Health) found that alcohol is the feared “gateway drug” the chemical which whacks vulnerable teen brains to promote other drug use to include heroin and cocaine, all used in succession to achieve that unattainable high. The increased level of risk is stunning: teens who drink have up to a 16-fold increased risk of abusing other drugs. But as Myles pointed out, the irony is that too many parents have a laid-back view of teen drinking, preferring to see it as a harmless rite-of-passage instead of what it truly is: dangerous drug use. Teen brains simply aren’t equipped to handle the addictive and brain damaging impacts of ethanol (yes, Virginia, there is ethanol in your kid’s alcohol). So much so that a teen who begins drinking at age 14 has a 500% increased risk of addiction over someone who waits to drink legally. A related irony is that there are also too many parents who hate the fact that their teens drink who have given up trying to stop them, feeling overwhelmed by the drinking culture. As Myles’ father asked, “Well, what can we do since all of his friends are doing this? He has to have some sort of social life.” In response I offer two facts: the first is that while many teens do drink regularly, at least half don’t. Kids tend to segregate themselves into groups of similar interests and attitudes and so it can seem to half of them that “everyone does this.” Of course, Myles response is that those sober kids are “dorks and dweebs” with whom he’d never associate, illustrating the problem of how difficult it is for a teen to socially reinvent himself at 15 in order to start to hang out with drug-free kids. So start communicating your drug position to your kid early on, long before the teen friend choices get locked in. Researchers are constantly amazed to learn how so many teens (often one-third of them) don’t even know what their parent’s attitudes and beliefs are about teen drinking. My second helpful fact is that parents who maintain a calm, loving, and firm anti-drug position have kids who tend to avoid using drugs (“Son, we love you far too much to let you do something that can terribly hurt you. We may disagree on this, but our position is firm. We are asking that you not drink until you are 21. You can have your sleepovers, but only at our house until we can trust that this drinking has stopped”). A zero-tolerance policy is not a rage-filled police state but is rather a loving belief which, quietly expressed, definitely limits teen drug behaviors. 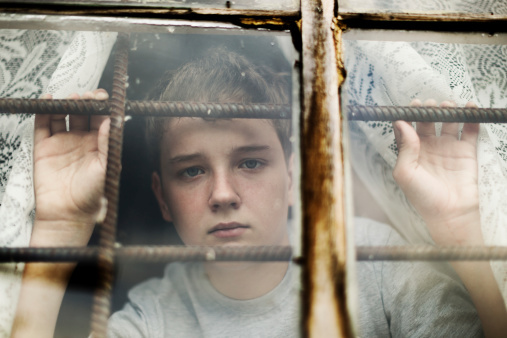 After a few sessions, Myles became the stunned participant, a teenager who stared in amazement at his parents, people he previously saw as being sane, reasonable folks who now sat firmly united in their “crazy” zero-tolerance alcohol policy, a loving expectation framed by concern for their child. Since these parents didn’t get very heavy about very many things, this “line in the sand” really stood out to their child. In his last session, Myles’ eyes betrayed his thoughts, revealing his worry that perhaps his folks were right, that his friends could be wrong, and that his drinking today might effectively take his life tomorrow. His dangerous belief about drinking was now open to change, setting the stage for healing growth. And all of that was accomplished without a single shouted word or scary threat. That’s the quiet power of parental love.